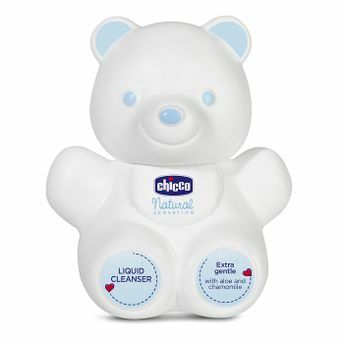 Chicco's Teddy bear liquid cleanser is extremely gentle on the skin with aloe and chamomile which provides maximum softness to the skin of your baby. 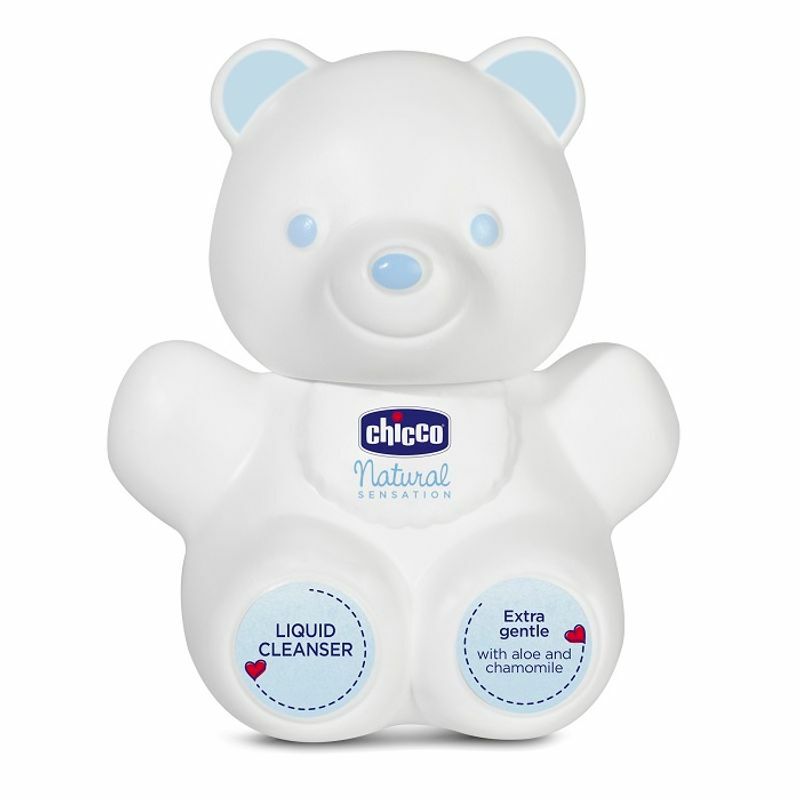 With the cute bottle in the shape of a teddy it gently cleanses delicate skin, leaving it soft and pleasantly scented. This cleanser can be easily rinsed out and it does not the irritate the eyes. Approved by dermatologist and paediatrician. Betaine: hydrating and protective action.